The "By Mistake" remix is officially out with each member of the Memphis Mafia coming through strong with some memorable moments. Much like in the original, Dolph still flexes his accidental $40K receipt from Barney's while Juicy J raps about having dinner with the mayor. Hopefully, we see these three link up again in the future. Last month, Young Dolph's car was broken into with $500K worth of jewelry and cash stolen from his whip. Dolph couldn't be bothered about it though, saying he doesn't "give a damn" about the material losses since it's all replaceable. 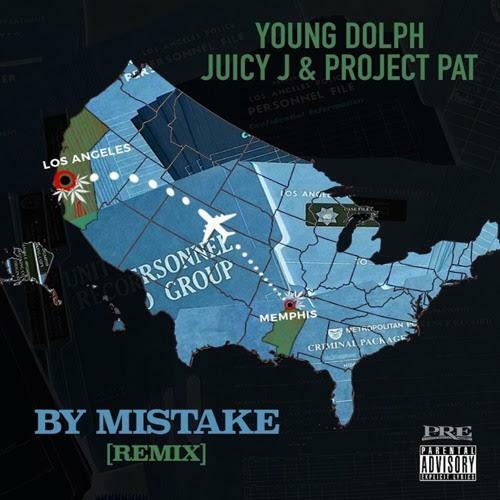 Listen to Dolph's new remix below and let us know what you think.